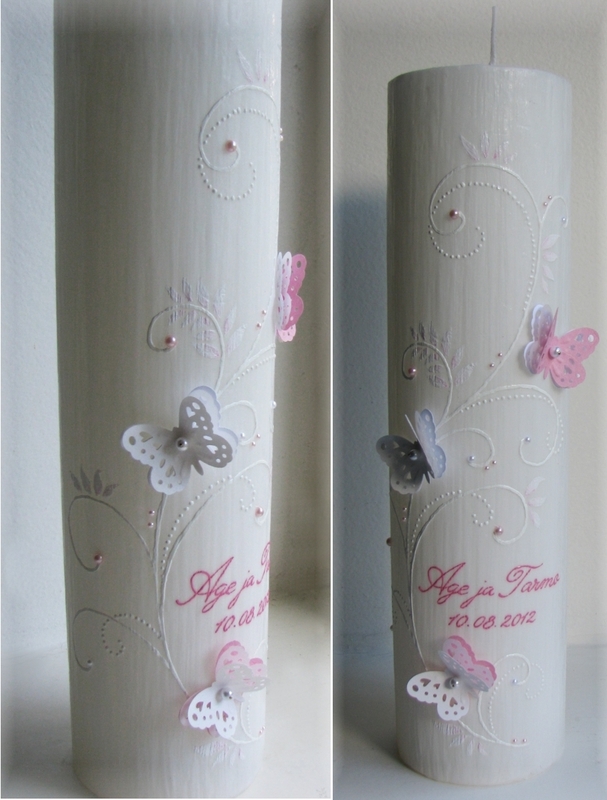 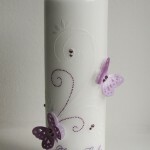 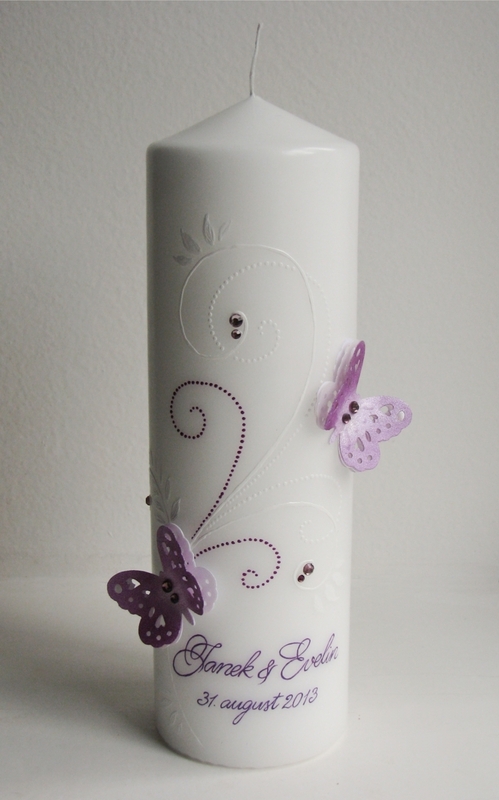 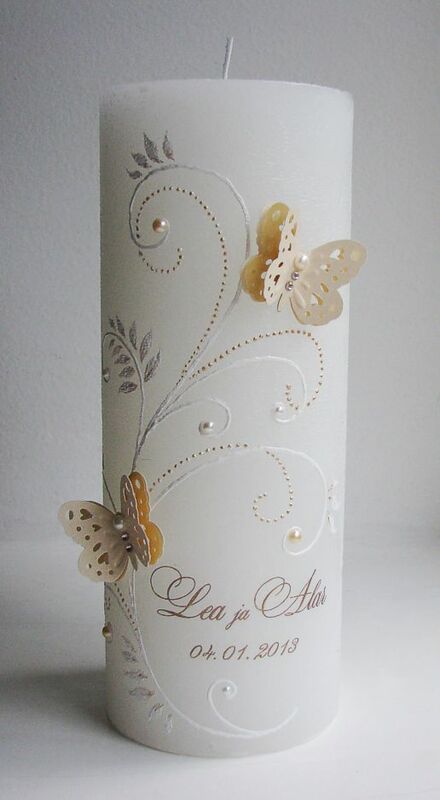 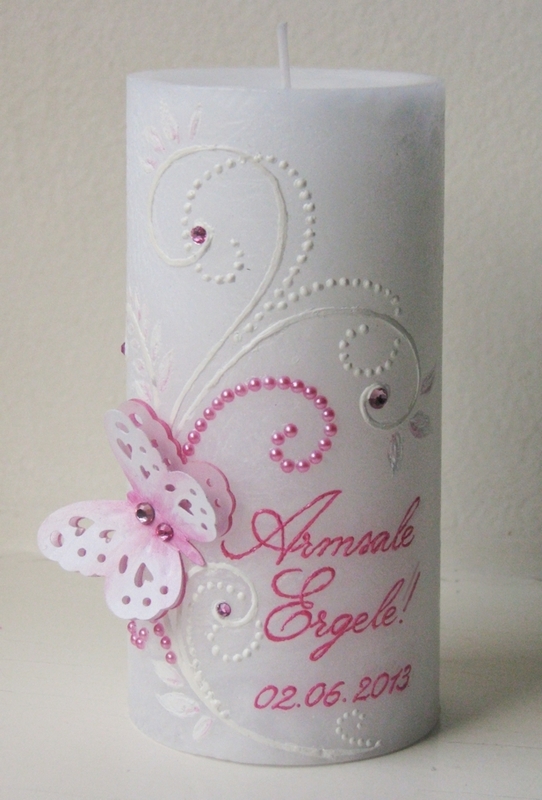 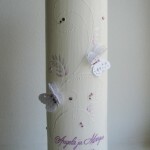 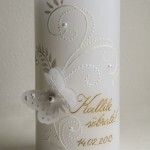 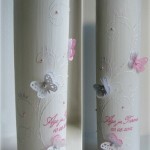 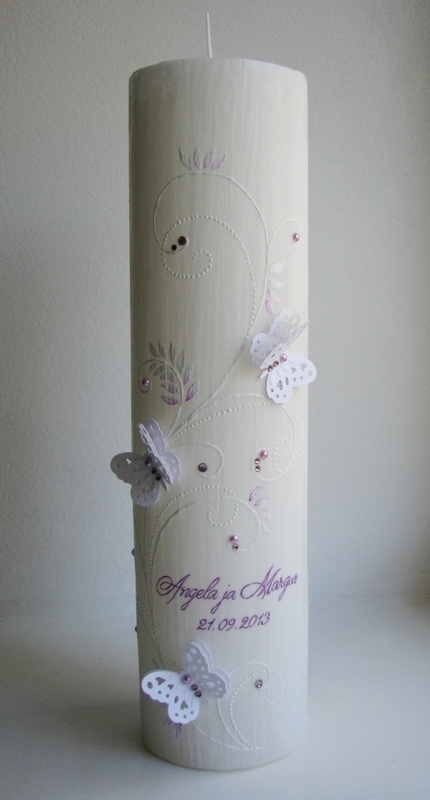 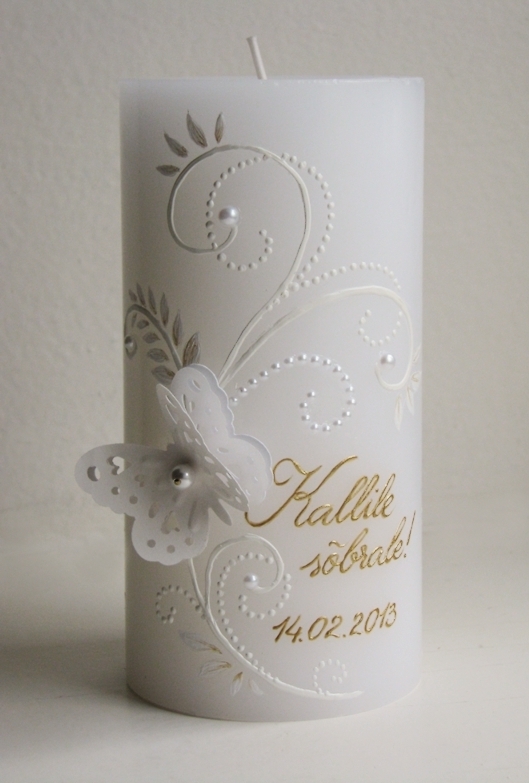 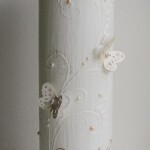 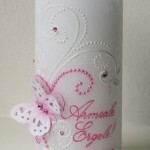 The butterflies are attached with decorative needles and can be replaced when candle wears out. 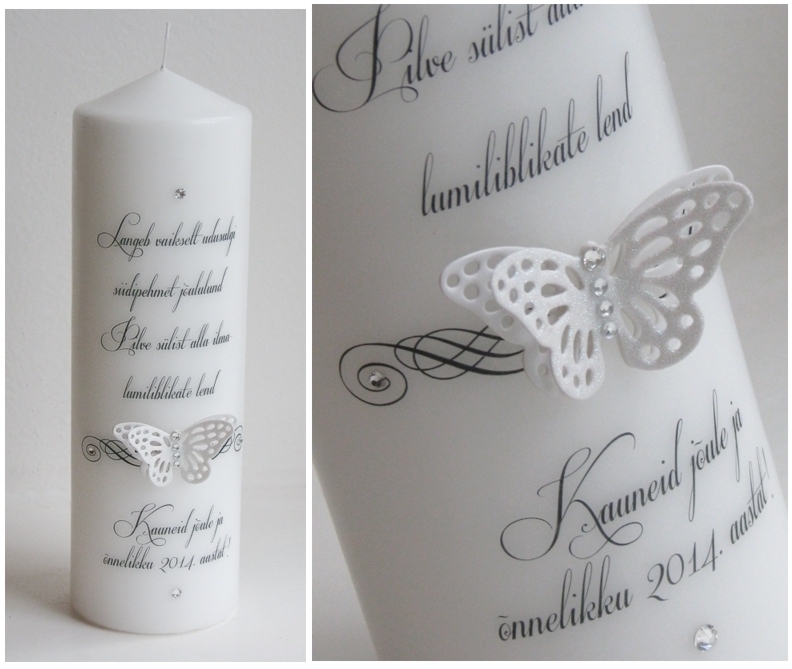 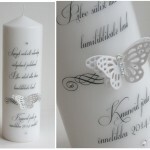 The butterfly on this candle can only be white. 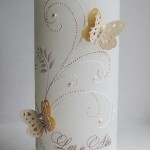 Color of the crystals can be changed.